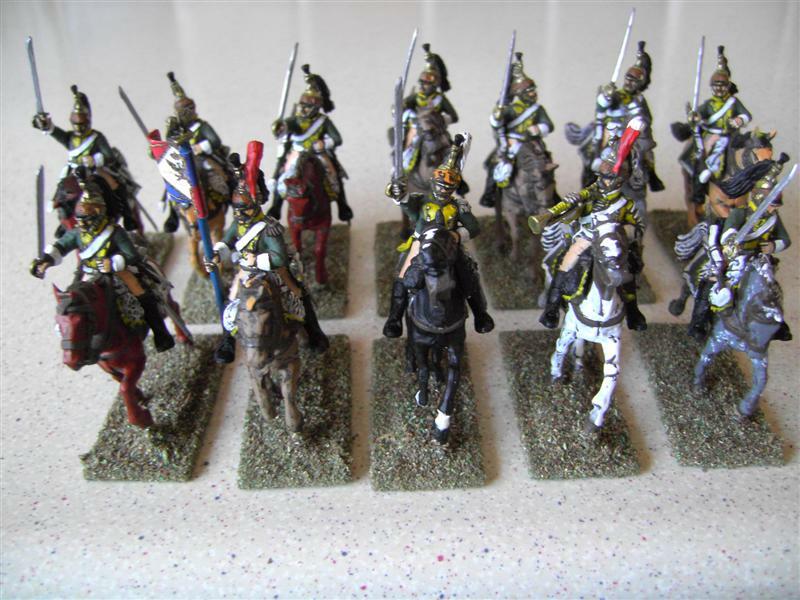 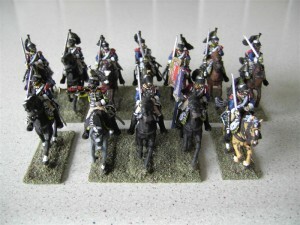 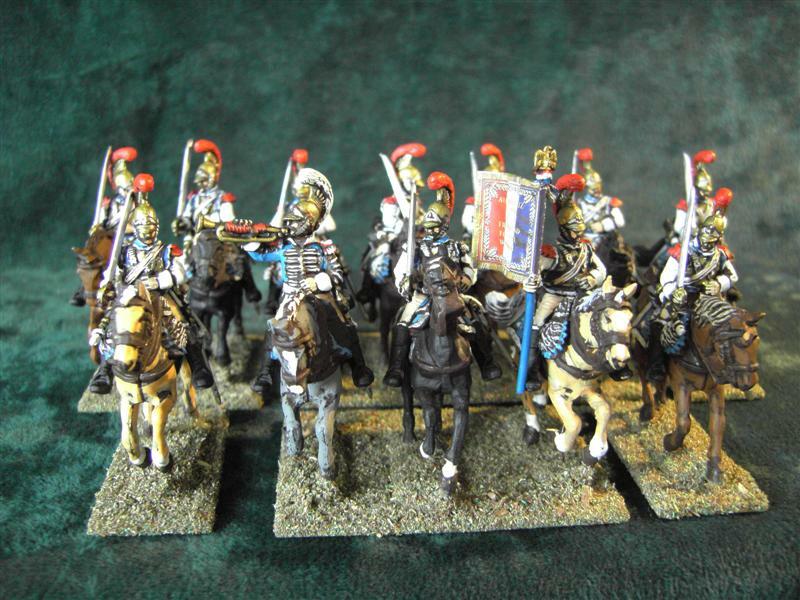 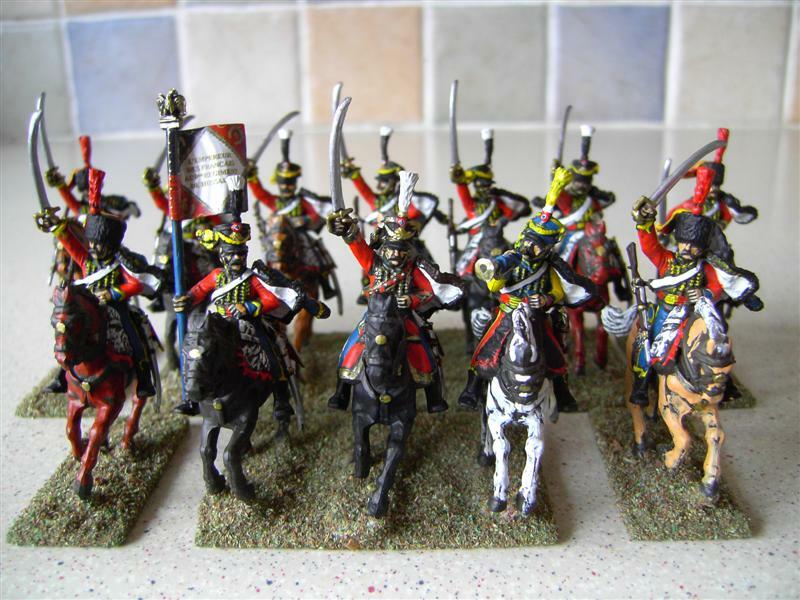 Napoleons elite heavy cavalry these with the Cuirassiers were Napoleons tanks of the day in 1805.They were at austerliz, 1806-7 Friedland, 1809 Essling and Wagram, 1812 Moscow, 1813 Dresden, 1814 Troyes, 1815 Quatre-Bras and Waterloo.They were at sixteen other battles in these campaigns. 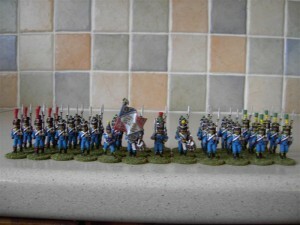 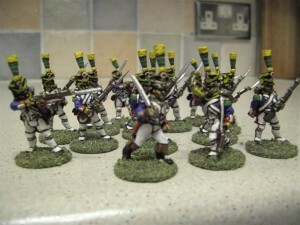 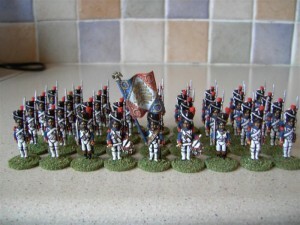 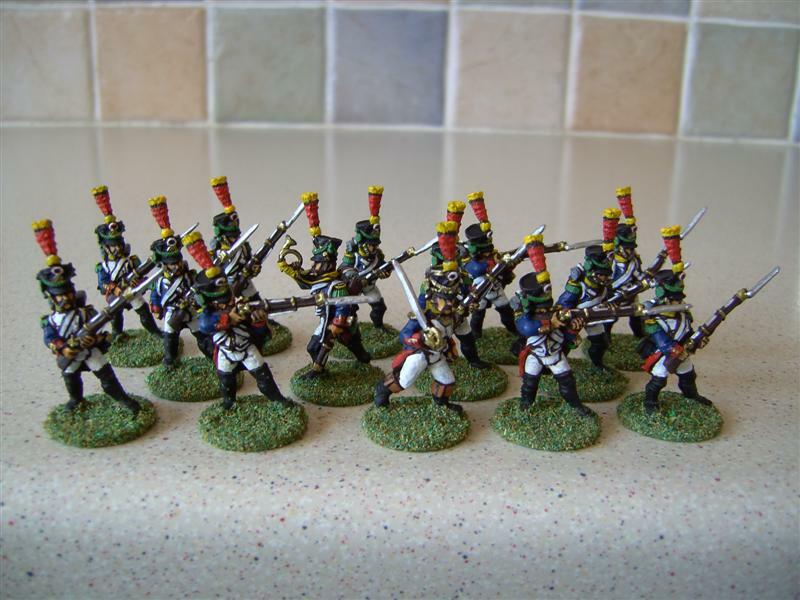 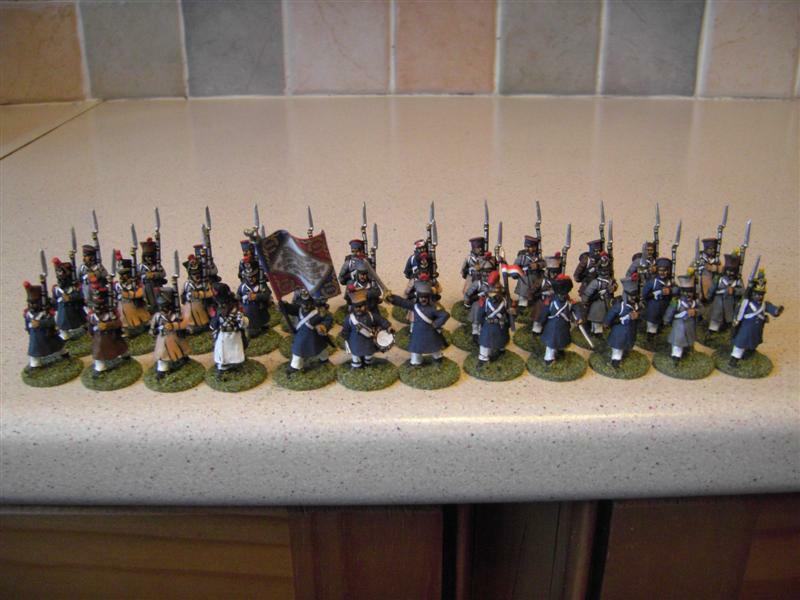 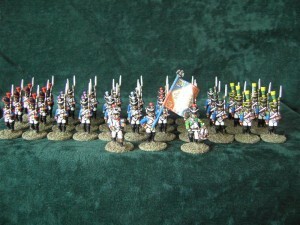 28MM FRENCH NAPOLEONIC LINE INFANTRY 1812-1815The uniform of the line regiments that made up the bulk of napoleons army were basically the same, with some minor differences the only difference in a regiment itself would be the pompons.Sometimes the strapping and flounders on the shako also epaulette’s collars and cuffs flank companies red for grenadiers and yellow /green for voligeur’s and white for officers and staff and the first four companies dark green, sky blue, orange /pink and violet only senior officers to wear white plumes and red over white for major but no of this is set in stone as I have seen Napoleonic uniforms with all combitions of colours.And… because of supply problems the 1815 campaign the uniform was often just greatcoat and fatigue cap. 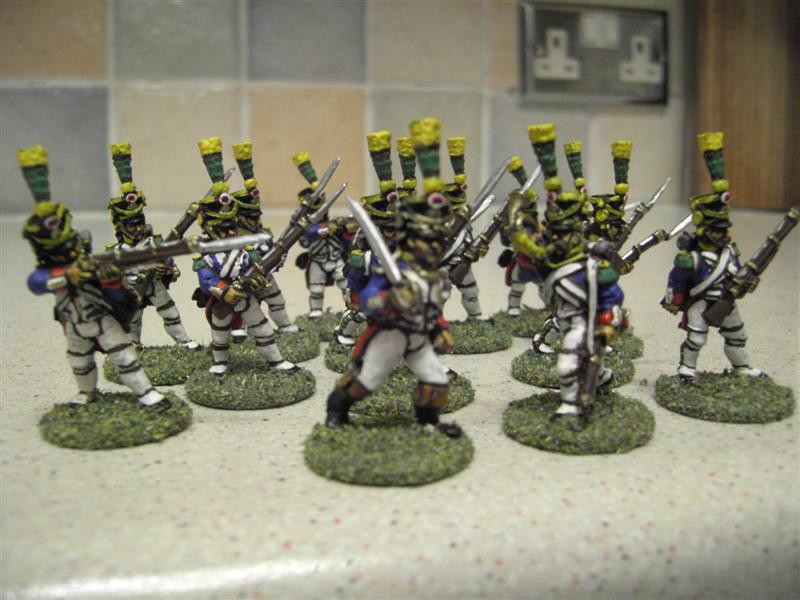 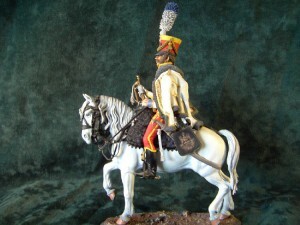 90mm NAPOLEONIC WESTFALIAN HUSSAR TRUMPETER 1831Westphalia was one of Napoleons German allies. 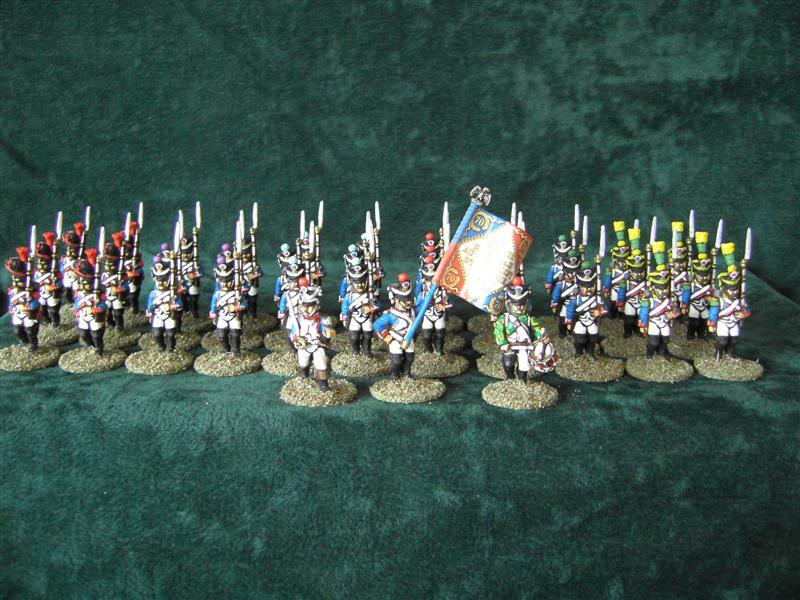 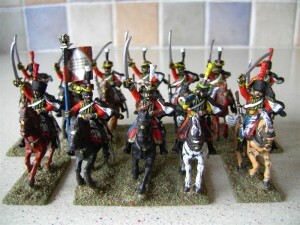 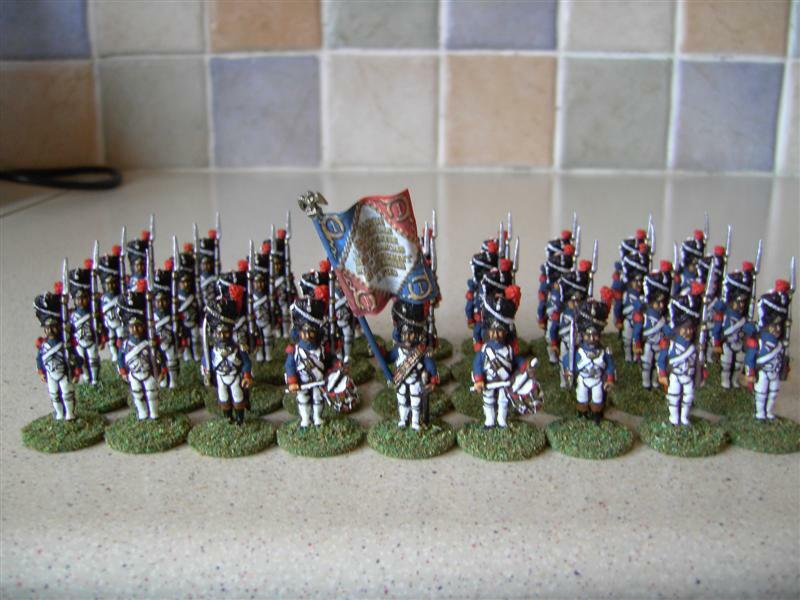 This regiment was formed in Westfalian 1813 and became 13th regiment of Hussars on the 1st of January 1814.They were wiped out in march 1814 at the battle of Fere-Champenoise.